Dry shampoo is a revolutionary hair care product that is literally a game changer, especially for busy women like us who don’t have the time to wash their hair very often. Just a quick spritz is enough to get rid of extra grease and save some time in-between washes. Of course, it can’t entirely replace regular shampoo. You still have to wash your hair at least 1X a week regardless, but it’s still useful in cases where you need a quick way to get rid of greasy hair roots. What makes dry shampoo work? Alcohol or starch within the product absorbs excess oil in your hair, giving it a cleaner appearance without the need for washing. The application of dry shampoo may seem self-explanatory, but it’s actually trickier than most people tend to think. If you are using the wrong formula for your hair type or if you’re misusing it, dry shampoo will make your hair strands look dull, dirty and just plain weird. In extreme cases, too much of it can even turn roots even oilier or make the scalp itch, which defeats the purpose of using it in the first place. Oily hair types should opt for dry shampoos in powder form with detoxifying and cleansing ingredients like charcoal powder, or cleansing herbals, e.g., witch hazel. Those with an itch and sensitive scalp should ideally go for natural formulas that don’t contain any alcohol, parabens, and harsh chemicals that are enriched with soothing herb extracts like chamomile or lavender. Fine, dull, and lifeless hair may use a spray formula that helps pump up the hair volume and makes it look more bouncy. In this case look for formulas that contain clay, protein, and sea minerals. Finally, those with dry and damaged hair should look for ingredients like silk, sea minerals or lightweight non-greasy oils like jojoba or grapeseed oil. The good thing is that most dry shampoos are labeled per hair type, but you may want to look up specific ingredients as well. 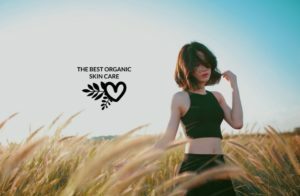 Also, it’s best to go for natural or organic formulas as chemical-based dry shampoos can irritate your delicate scalp or even cause your hair to fall out–and you certainly don’t want any of that. A common mistake that many make when using dry shampoo is spraying too close to the hair. What this does, however, is leaving a weird greyish or white cast to the roots, especially from a close distance. If you don’t wish to make your hair roots look like this, spray at a distance that’s at least 6” away from your hair. Haircare experts recommend a distance between 6-8 inches for best results so keep this rule in mind next time you spray. Just because it’s a spray or powder product and not an actual shampoo, it doesn’t mean that you shouldn’t work with it. You want the dry shampoo to make your hair look balanced and natural -not a matte or waxy mess with grayish roots. To achieve this, once you spray or apply the powder to your hair, use your fingertips to gently massage and distribute the product evenly into your hair roots. You may also gently toss and shake your hair to make sure it doesn’t get piled up in one particular area. If your hair isn’t curly, you may gently comb your hair, but if your hair is curly, combing it through after using a dry shampoo will cause a loss of natural volume, shape, and bounce. While it’s important to distribute the product as evenly as possible, if you have extra oily hair roots, you may apply a second layer in the areas that look the oiliest. You may have heard of the facial T-zone already, but your hair and scalp have an actual T-zone too that you have to pay attention as well. This zone starts from the hair sides just over the forehead and your middle scalp part, which tend to look more greasy compared to other regions. Once you apply a second layer on your hair’s T-zone, massage your hair and style (if necessary) as usual. Using dry shampoo too often can have negative effects. Using it too often is generally not recommended for a few reasons. This first is that many store-bought formulas contain alcohol, which may not only temporarily dry the hair and scalp out, but ultimately lead to more grease as the scalp tries to compensate for the sudden loss of natural sebum. 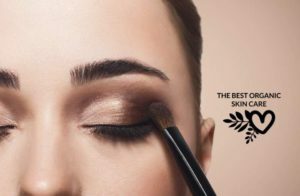 The second issue is that many chemical-loaded formulas can leave build-up and an unwanted residue on the scalp that may trigger scales, scalp itching or scalp rash. And lastly, the third reason to not overdo dry shampoo is that the oil-absorbing clays and powders will dry your hair out too much and lead to breakage and damage. How often should you use dry shampoo? The use of dry shampoo for some is occasional and for others is a more frequent matter e.g 2-3 times a week. The amount you use dry shampoo is somewhat dependent the natural oiliness of your hair. In general though, don’t use dry shampoo for more than three applications in a row, after that you should wash your hair with regular shampoo. Haircare experts recommend that long-term use of dry shampoo should not be over 3 months. Your hair and scalp need an occasional break. If you are one to use dry shampoo regularly, it is recommended that you take a few weeks to a month long break every few months. If you can’t stay without dry shampoo for too long e.g because your job is on the go, opt for a natural formula with healing clays, salts and herbal extracts that normalize and heal the scalp as well and not just temporarily “dry” it out. We know how important is to stay as healthy as we can, and part of that is staying away from toxins in cosmetics. Many mainstream dry shampoos (especially the aerosol types) are loaded with chemicals that are not good for you. Toxins in most conventional dry shampoos include talc, parabens, fragrance, butane, plus others. I don’t know about you – but I sure don’t want to spray that on my scalp! This is a great video on how to make your own dry shampoo. Dry Shampoos are a great product for those days your hair needs a quick pick me up, but you don’t have the means or the time to shower. 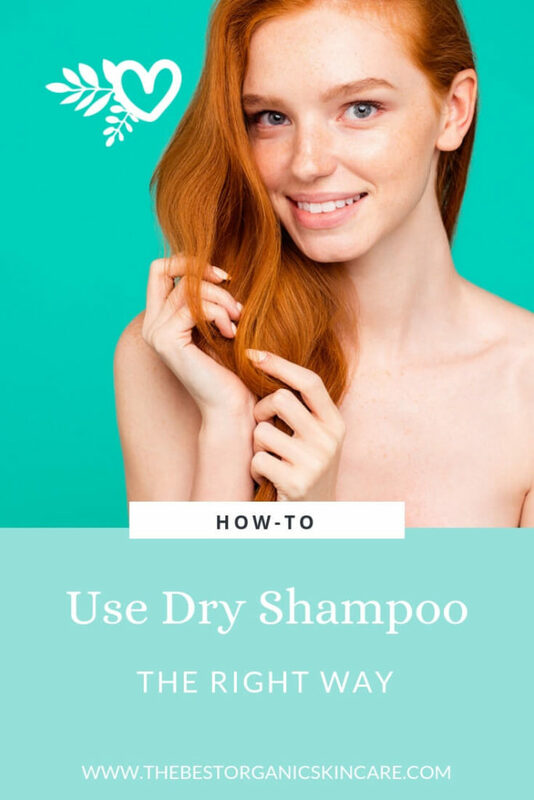 Use the tips above to get the best experience from your dry shampoo.